Narendra Modi swept to power on the promise of "Good Governance". PM Modi had also campaigned on the pledge “Pradhan Mantri Awas Yojana”, which primarily aimed at providing housing for all. Therefore, understandably, all those who do not own a home or any of their family member does not own a home, are given benefits of PMAY. New Delhi: Government has received complaints/ representations regarding bogus builders/developers who have registered and enlisted a large number of customers for allotment of economically weaker sections/lower income group houses in the name of Centrally sponsored flagship Scheme i.e. 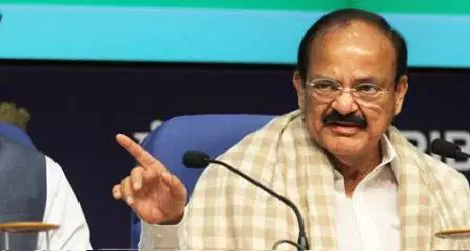 Pradhan Mantri Awas Yojana, said The Minister of Housing and Urban Poverty Alleviation, Shri M. Venkaiah Naidu in statement in Lok Sabha on 12.04.2017 while replying to starred question no. 558 asked by Jyotiraditya Madhavrao Scindia. (i) In order to facilitate registration for demand assessment under PMAY(U) by citizens across the country, this Ministry has requested to all States/UTs to propagate and promote the facility of online application using the platform of Common Service Centre (CSC). CSC e-Governance Services India Limited has written to all District Collectors to monitor online applications through CSC so that more people may avail the benefit under PMAY(U). (ii) A disclaimer has been posted on the website of the Ministry intimating general public that this Ministry has not authorized any private entity or person to collect money as a consideration for availing of any benefit under the PMAY (U) Mission. (iii) State/UT Governments have been requested to issue disclaimer/public notice cautioning the general public about unscrupulous individuals/ entities from cheating the general public. The above position has again been re-iterated during the recently held meeting of Central Sanctioning & Monitoring Committee on 21st March, 2017. Government ready to take punitive action against the bogus builder cunstructing under Pradhan Mantri Awas Yojana, facilitate registration for demand assessment under PMAY(U) by citizens across the country, this Ministry has requested to all States/UTs to propagate and promote the facility of online application using the platform of Common Service Centre (CSC).